So, what do you do when you realize you're supposed to be leaving for Christmas vacation and managed to lose all the pictures you saved to feature? 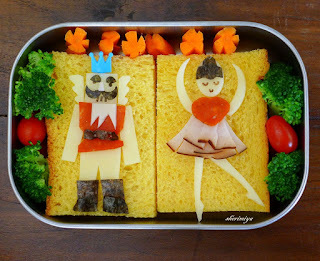 You depend on some awesome bento friends to come to your rescue! I asked a few sweet friends if they mind helping out by sharing a favorite Christmas bento or post and I was overwhelmed with the response, enough for two days worth! Just click on the pictures of links to see the awesome posts with more detail! 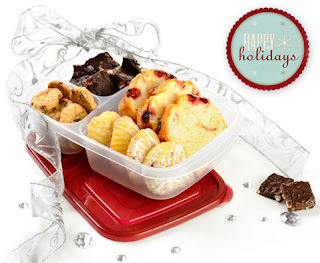 And a great idea from Kelly at EasyLunchboxes for reusable cookie exchange containers! Want to buy EasyLunchboxes? You can order through our affiliate link on Easy Lunchboxes or on Amazon)! OMY, these X'mas bentos are fabulous! Thks for sharing & Merry X'mas, Shannon! Happy Christmas Shannon! 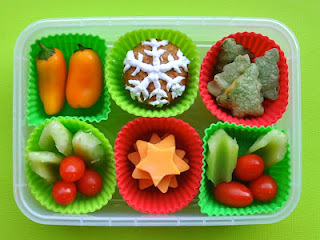 Thanks for featuring my merry muffin cup lunch :) I hope you and your family are having a wonderful vacation.